Remember Blockbuster, the film rental company that was on every high street? Back in 2013 the company filed for bankruptcy and closed its stores. The company, once synonymous with home entertainment has quickly ebbed from memory. Of course, this didn’t come completely out of the blue. While membership numbers remained high, a large proportion of members were inactive for some time, and profits naturally suffered irreversibly. But did it really have to happen? Blockbuster is a prime example of a company’s vision and business model falling out of sync with customer demand. They didn’t listen to their customers and failed to evolve their services to meet changing expectations. Their customer touchpoints were becoming outdated, and Blockbuster was slow to take advantage of emerging digital channels. By the time they woke up to this, their once loyal customers had already moved on to new providers such as Love Film (now Amazon), Netflix and others. 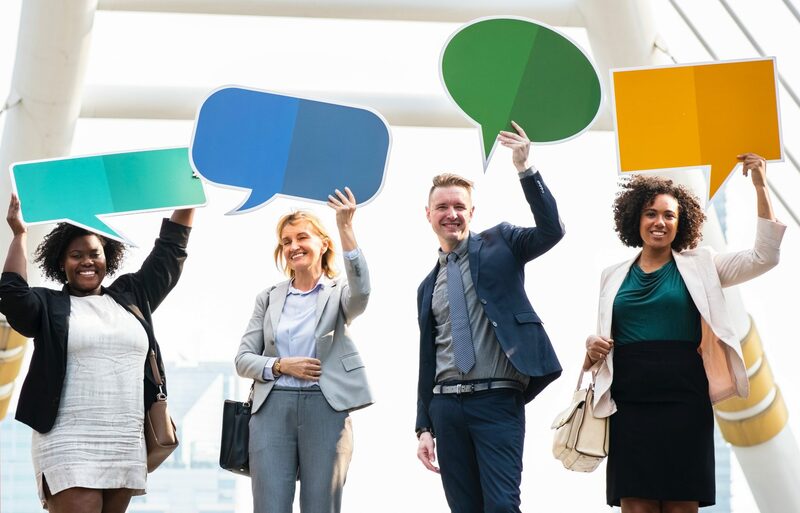 It’s been 5 years since the Blockbuster debacle and now the customer service landscape is on the precipice of significant change – customers are now increasingly using messaging, social channels and community forums to direct enquiries to brands. Facebook reported last December there are now over 2 billion conversations between Messenger users and businesses every month. Nielsen’s Facebook Messaging Survey reports that messaging ranked second out of nine possible modes of communication with businesses and that 53 per cent of customers were more likely to shop with a business they can message directly. While Brand and Customer Service Managers are grappling with these new juggernauts of digital communication, they are also faced with yet another challenge – resourcing! And they are realising that the presence of a flexible and agile workforce will be integral to providing a highly responsive 24/7 service via these new channels. It is widely accepted that customers engage more with brands that care about them. More and more companies are waking up to the reality that their revenue bottom lines are intrinsically linked to their overall customer experience. This can be seen in the rising importance being placed on extending Customer Lifetime Value (LTV) as Customer Acquisition Costs (CAC) increase. Bain and Co found that companies that excel at customer experience grow revenues 4-8% above the market. To sum up, for brands which not only want to survive but actually thrive, it’s time to shake up the customer service model and innovate. Those looking for a way to reduce cost and improve efficiency might take a view that AI or automation is the way to go. But AI alone is not the silver bullet for brands looking to kill 2 birds with the same stone i.e. 1) addressing resource challenges and 2) providing world-class customer service at a lower cost to serve. One only needs to look at Facebook which scaled back its targets for chatbots after over 70% of the bots failed to provide a satisfactory level of service. An innovative customer service model needs to consider a combination of bot automation and human interaction to successfully deliver fast and effective service. This is where employing the sharing economy model alongside traditional resource models can help. This model is already disrupting most sectors, but customer service has been relatively untapped, until now. A freelance based model like Limitless enables brands to access the sharing economy by letting them crowd source customer support, thereby meeting its most pressing resourcing needs. The Limitless Crowd Service® platform engages a brand’s most loyal customers and employees – Limitless calls these individuals ‘Ambassadors’. Using a mobile or desktop app they can answer enquiries from customers and receive rewards for resolving them. Limitless is designed to work alongside the brand’s existing customer service teams. The platform trains its AI algorithms to handle increasing numbers of lower value, simple enquiries autonomously. This allows Ambassadors to handle higher value and more complex enquiries, leaving a brand’s customer service teams to concentrate on the most complicated or sensitive queries. Early adopters of Limitless are providing stellar customer service by using the people that know and love their brand the most. Customer satisfaction is consistently over 90%, queries are being resolved in less than 5 minutes and brands are seeing savings between 50%-75% on their customer support costs. For brands striving to be a Netflix and not a Blockbuster, it’s time to give the customers the communication channels and service what they want. It could make all the difference between a good brand and a world-class brand! ← Do you have a good gig going?